What qualities does it have? Nanoil Hair Oil conditions every type of hair and scalp. How so? There are three versions of the cosmetic. The one for low porosity hair eases styling, reduces blow-dry time and facilitates combing. It also controls the function of sebaceous glands and prevents greasy scalp. Nanoil For Medium Porosity Hair tames unruly strands, rebuilds split ends and prevents dehydration. Moreover, it reduces excessive sebum secretion and greasy hair roots. 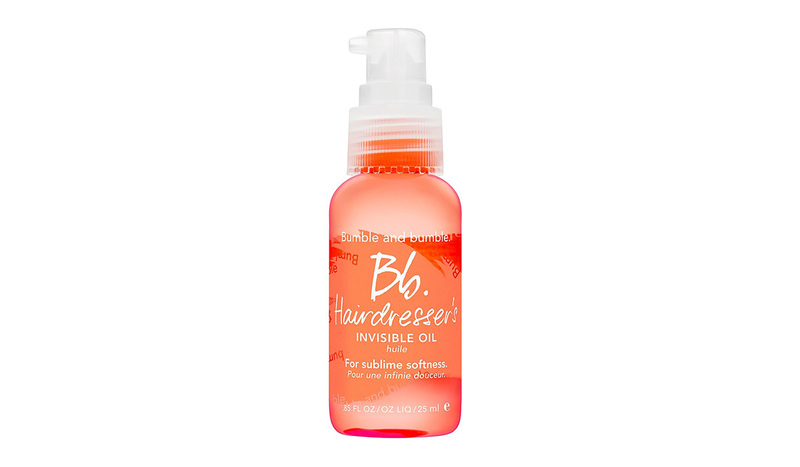 The version for high porosity hair repairs distressed hair, deeply moisturises and adds gloss to dull strands. What is more, the product strengthens hair bulbs, preventing hair loss and the occurrence of dandruff. 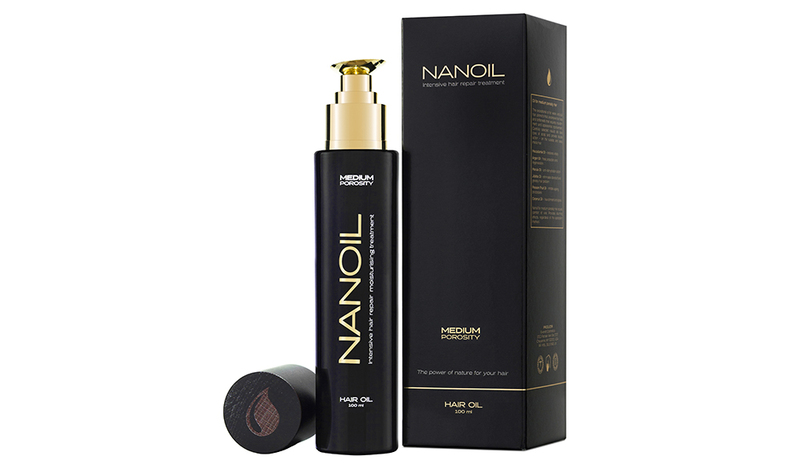 Apply Nanoil Hair Oil to dry or wet hair for extra shine and smoothness. 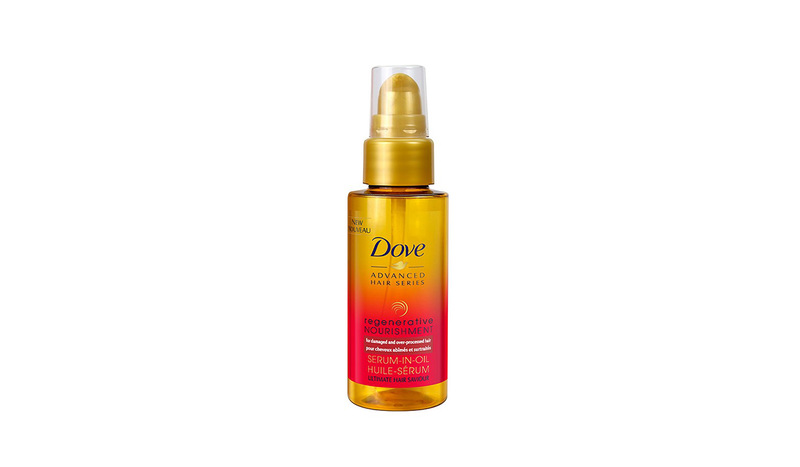 The cosmetic makes an excellent duet with other hair and scalp care products. Feel free to use Nanoil every few days or every day. Apply it to hair tips for protection or to hair roots to repair hair bulbs. The list of ingredients is different for each version. Nanoil For Low Porosity Hair offers Pine Oil, Coconut Oil, Argan Oil, Castor Oil, Shea Butter, Maracuja Oil, Babassu Oil, Monoi Oil and Cupuacu Butter. 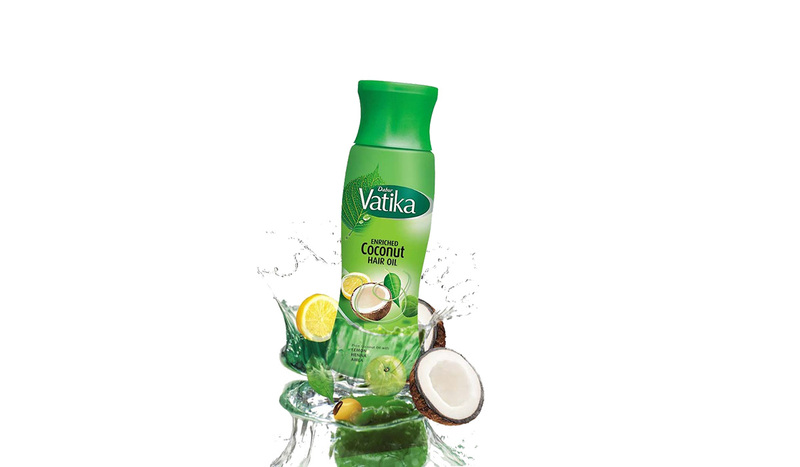 The oils are enhanced by panthenol, Kerastim, Baicapil, vitamins A and E, UV filter. Nanoil For Medium Porosity Hair is composed of Macadamia Oil, Argan Oil, Marula Oil, Jojoba Oil, Maracuja Oil and Coconut Oil. These are accompanied by Kerastim, Baicapil, silk, UV filter and vitamins A and E. Nanoil For High Porosity Hair contains Almond Oil, Argan Oil, Evening Primrose Oil, Avocado Oil, Maracuja Oil, Cottonseed Oil. This version also includes panthenol, keratin, lanolin, silk, Kerastim, Baicapil, UV filter and vitamin E.
How long does it hold out? One bottle contains 100 ml of the cosmetic. Surely, Nanoil Hair Oil allows for a long treatment that will present you with healthier scalp and more beautiful hair. One portion of the product should match the length, thickness and needs of your hair. Remember that only regular use will deliver amazing effects. Does it offer a nice fragrance? Nanoil Hair Oil has a nice and delicate fragrance. Many girls will like it. The oil will keep your hair perfumed with a light aroma for a long time. You can buy Nanoil Hair Oil online. Go to Nanoil website and choose a suitable version (for low, medium or high porosity hair). Apart from buying a product, you can read about different hair types, application methods and ways for nourishing the scalp. You pay the same price for 100 ml of each Nanoil version. The price is not one of the lowest but you need to pay a bit more for the quality and effectiveness. Each of the three cosmetics is composed of valuable oils, vitamins and other conditioning substances that will make your hair look spectacular.